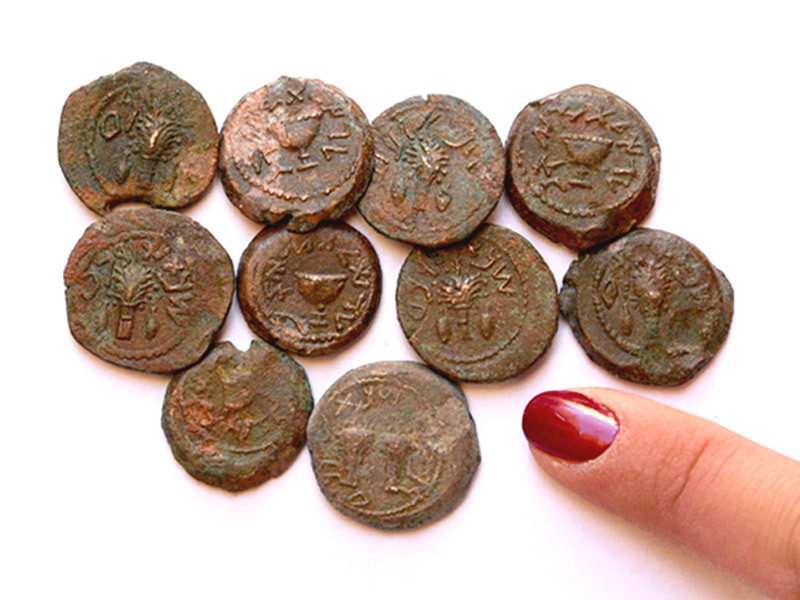 Bronze coins, the last remnants of four-year Jewish revolt against the Roman Empire were found near the Temple Mount in Jerusalem. 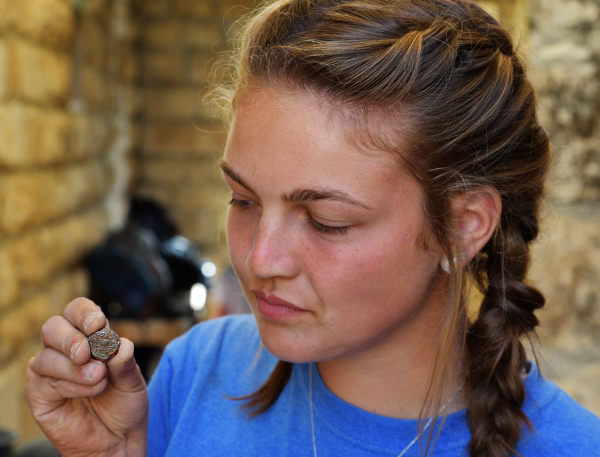 The coins were discovered by Hebrew University archaeologist Dr. Eilat Mazar during renewed excavations at the Ophel, located below the Temple Mount’s southern wall. The 1.5cm bronze coins were left behind by Jewish residents who hid in a large cave (7x14 meters) for four years (66-70 C.E. )—from the Roman siege of Jerusalem, up until the destruction of the Second Temple and the city of Jerusalem. “A discovery like this—ancient coins bearing the words ‘Freedom’ and ‘Redemption’—found right before the Jewish Festival of Freedom—Passover—begins is incredibly moving”, shared Dr. Mazar.